Situated in Ballarat, only one hour from Melbourne, IGR Engineering is ideally located in a Modern Manufacturing and Design facility, offering a broad range of machining capabilities. 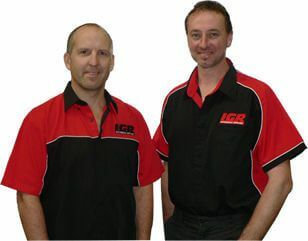 IGR Engineering has been operating for in excess of twenty years, making them one of the most experienced manufacturing service providers in the Ballarat region. In addition to the extensive facilities and range of manufacturing options, clients can be confident in the knowledge that between John and Michael is 40 years of experience in the trade. IGR Engineering have state of the art machinery, a team of experienced staff, and a reputation of excellence in all that they do.